Original Nylon Tote is rated 4.2 out of 5 by 17. 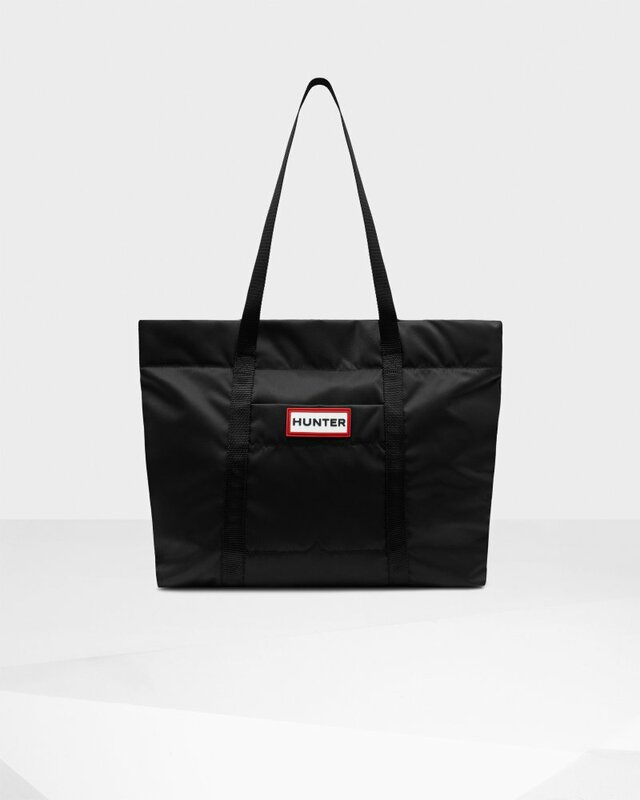 Streamlined, showerproof and stylish, the Original Nylon Tote in classic black is the perfect combination of practicality and flair. Frop laptop to luggage you'll have all the space you need with a total capacity of 18.3L. A concealed front pocket offers safe and easy access for hectic travelling days while the water-resistant exterior protects your stuff from sudden downpours. Rated 5 out of 5 by JWalter from Multipurpose Bag for Busy Professional I am please with this bag, as I can use it for a number of things- diaper bag, carrying files/laptop to work, going to the gym, or camping. I have had a number of compliments on it already, and I am glad I purchased. Rated 5 out of 5 by Chirc4 from Very Roomie and cute Love this tote. It is very light and lots of room. I have been looking for a tote that has a zipper and space to throw things in when needed. I look forward to bringing this bag on trips as well. Rated 5 out of 5 by Sandi from Great features! I just received this tote bag and love it. It is large. My favorite thing is the front pocket. It is big enough to fit my iPhone and has a snap on the pocket too. Great all around bag. Rated 5 out of 5 by Mechelle from Bought the waterproof tote for an outside festival and rain was predicted. It was the perfect size and definitely held up in the weather. Great bag and would definitely buy again. Rated 4 out of 5 by Anonymous from The bag is super cute and a great size for a work bag. My only complaint is the handles. They are very cheap looking and are hard on your shoulders if you have a lot in the bag. It can easily hold a laptop and extra files. Love that it zips on top! Rated 5 out of 5 by Margaret from Made really well, stands strong with me filling it with a sorts of things for the kids when we’re traveling.